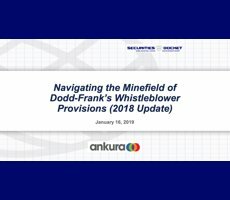 The Securities and Exchange Commission today announced its highest-ever Dodd-Frank whistleblower awards, with two whistleblowers sharing a nearly $50 million award and a third whistleblower receiving more than $33 million. 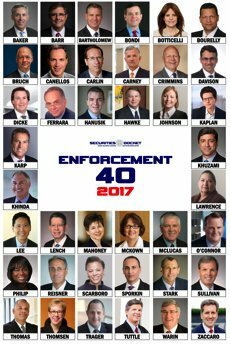 The previous high was a $30 million award in 2014. via SEC Announces Its Largest-Ever Whistleblower Awards. The U.S. Senate voted 67 to 31 on Wednesday to ease bank rules, bringing Congress a step closer to passing the first rewrite of the Dodd-Frank reform law enacted after the 2007-2009 global financial crisis. via U.S. Senate approves bill rewriting post-crisis bank rules. Please join F. Joseph Warin, John W.F. Chesley, Greta B. Williams, Sean X. McKessy, Erika A. Kelton and Jim Barratt for this webcast. In what was likely his last formal speech as an SEC commissioner, Commissioner Dan Gallagher invoked into his inner Stuart Smalley to take aim one last time at his favorite target, the Dodd-Frank Act. 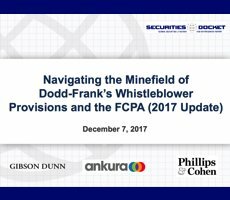 via Outgoing SEC Commissioner Gallagher Takes One Last Shot at Dodd-Frank | Compliance Week.